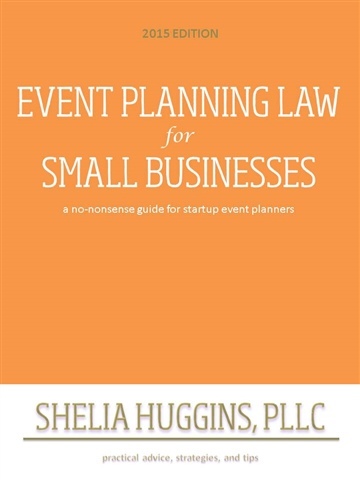 This guide is designed to help event planners understand some of the legal issues that are often encountered in the day-to-day planning and management of event activities. It will assist you in understanding some of the basic legal principles involved, thereby providing an opportunity for you to better communicate with your attorney. My event planning background has included large and small local events, government events, and social events. I have participated as part of a team and led the team. I’ve secured music and venues, designed programs and decorations, and contracted with a variety of vendors and service providers. Although there is no such thing as a standard contract, many contracts have similar provisions, and this guide contains some of those provisions plus over 150 questions to help you develop the contracts you need for your event planning business.